Richie Drum Brakes here. 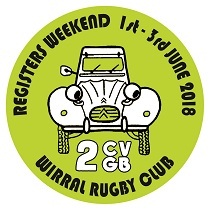 Welcome to the register with flares on – the one that covers those groovy 1970s 2CV saloons, or to be more precise, covering 2CV saloons from 1970 to 1981 with front drum brakes. Many years ago it was suggested that a register be set up for these cars, the idea of which was mocked by many as being pointless – drum brake 2CVs were in great proliferation – why bother? How things have changed! This is now one of the smaller Registers with only around 200 drum brake 2CVs in existence in the UK. To own a 1970 to 1981 2CV nowadays is to own a very rare car indeed and in response to this more are being cherished and restored. My love of 2CVs began in 1991 when I bought my first 1978 2CV ‘Greencar’. 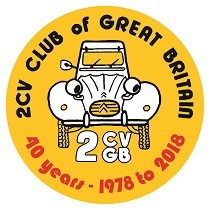 It was intended to provide some summer fun before moving on to a ‘proper’ car, but 20 years on and over 20 2CVs later it is clear that a 2CV is for life. I still have that first car along with another 1978 model and have been running the Register for some time now… in fact, I even had hair when I started! 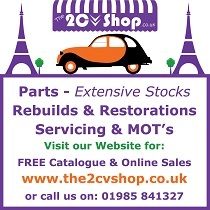 This register covers not only the standard model 2CVs from 1970 to 1981 but also those super rare special editions, the 2CV4 Special, the 2CV SPOT of 1976, the 2CV Charleston of 1980 and the 2CV '007' of 1981 (though this is a cross register model, as some had drum brakes and some had disc brakes). If you have any problems or questions about your Drummer then do get in touch as I’m always here to help if I can. Drum brakesDisc brakes What type of brakes does it have?